PORTOS offers you modern and convenient system solutions of roller blinds that are perfectly fit to every type of interior. Depending on the function that is served by the room, we can use a roller blind which only shields against sunlight or shall provide us with shade. In a rich collection of fabrics we can find plain Jacquard fabrics with an interesting ornament. A wide colour range provides a choice for every Customer. In our company's offer you will find free hanging systems and cassette systems. We also have a DEKOLUX roller blind system dedicated to roof windows. The free hanging MINI system allows a non-invasive installation to the window frame with the use of hangers. With larger window or window recesses sizes, MAXI roller blinds are a practical solution; they are screwed to the wall, ceiling or lintels. Roller blinds in the cassette system LORD MAŁY eliminate the problem of light penetration thanks to the use of guide rails. The preservation of aesthetic values in combination with nice fabric gives 100% satisfaction. The distinguishing system of roller blinds is the "Day and Night" system, which is extremely practical and, at the same time, original. Alternately-laid fabric strips and a small netting gives the possibility to regulate the amount of light flowing into the rooms. The day and night fabric will find its application in free hanging systems. The roller blind may be suspended with the use of plastic hangers for the window frame. We will get a greater window screen thanks to an elegant "half cassette", which may be installed on the wall, ceiling or lintels. 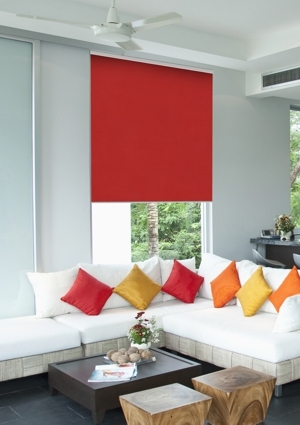 Our roller blinds are characterized by simplicity and functionality while maintaining decorative qualities.